When Dealing with long directory paths, we are literally typing on right hand side of your powershell console, moreover console starts wrapping the text when your command hits the edge of the terminal making it even worse to read, like in the below image. and a small Powershell Function to return Custom directory names on basis of above HashTable, which is much shorter in Length. In short, the function fetch the $PWD (Present Working Directory) and returns the possible alias (If any) defined by you in the HashTable. Following animation demonstrates few examples. Go to your Powershell terminal and type “ISE $Profile” to open the Powershell $Profile in ISE. Make the necessary changes in the $CustomDirectories Hashtable, which would be specific to your requirement. 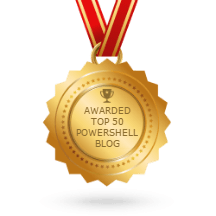 Obviously you’ve a choice to Either Remove the Directory Path from Prompt function or to move it to the Powershell Host Title using below Property. Hoping you’ll find useful, have nice day! My cheap take was… I added an ending “CRLF” (back tick r, back tick n) to the prompt. I got used to seeing my cmd line “below” the looooong path. Nice post – just discovered your blog and I’m tweaking my environment due to your tips. I add the current time to my prompt too (where you have the “I heart PS”) so that my transcripts, screenshots etc have the time I was working on a script. That way it gives me a rough idea of how long a command took (assuming that I started to type immediately after the prompt returned instead of 5 minutes later! Very useful when entering data into my timesheet.